Neil Young has released a new video, titled “Children of Destiny” that urges Americans to unite and “resist the powers that be.” This new song is Neil’s response to the current political vibe in the US, and juxtaposes typical patriotic images of the American flag waving with scenes of war and protest. Neil’s voice is unusually subdued for him, as he worries about the future of the country and the world. Backing Neil on Children of Destiny are a 56 piece orchestra, and rockers Promise of the Real including Willie Nelson’s son, Lukas. Neil has been a political activist ever since his days with Buffalo Springfield and the song “For What it’s Worth”, to “Ohio” with Crosby Stills and Nash, to his “Living With War” album released in 2006. Neil’s last album “Peace Trail” released in December is another political statement. Regarded as one of the earliest punk bands The Seeds were a prolific Los Angeles band during the rise of Psychedelia. The group was first headlined by ex Electra-Fires / Soul Rockers singer Sky Saxon who recorded during the pre-Beatle days under the name Richie Marsh. The Seeds formed in 1964 when keyboardist Daryl Hooper and drummer Rick Andridge from the Four Sharps in Michigan moved to California replying to an add by Sky Saxon. Saxon had already recruited a hot surf guitarist called Jan Savage from Jack & The Rippers and rhythm guitarist Jeremy Levine to complete the quintet, The Seeds officially formed in 1965 whose ‘debut performance was supporting an early formation of The Doors at the ‘Turkey Joint West’. 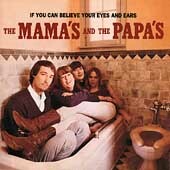 The groups debut “Can’t Seem to Make You Mine” was a regional Californian hit in 1965 (years later ‘Axe Bullet’ underarm TV jingle) The Seeds ’only national # 40 hit in 1966, the angst “Pushin’ Too Hard” characterised Hooper’s ‘Wurlitzer’ sound while live sessions had Hooper also utilizing keyboard bass like latter day Ray Manzerak of the Doors. 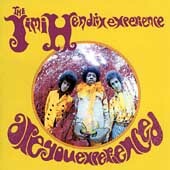 During album sessions although Sky is credited for bass it was actually Harvey Sharpe from The Beau Jives that stood in. The Seeds were rampant and highly toxic with their scorching “Evil Hoodoo” and Hooper’s fab “Tripmaker”, all sensational alien encounters. The Seeds also appeared live in the soundtrack Psyche Out performing “Two Fingers Pointing to You” with actor Jack Nicholson on guitar alongside music by Strawberry Alarm Clock. The follow up single after the Psyche Out soundtrack was the trippy “The Wind Blows through Your Hair”. The Seeds also had a guest appearance on the sitcom The Mothers-In-Law and featured on the soundtrack- Riding the Bullet. Controversy arose when their single “Mr Farmer”, first song about marijuana was regionally banned, years later appearing in the soundtrack Almost Famous. Levine was the first to leave replacing Lee Freeman in Strawberry Alarm Clock in 1968. while Andridge was then replaced by ex Eliminators/ Glass drummer Carl Belknap. The 1966 self titled debut and A Web of Sounds were riffing fearless boosted by “Mr. Farmer”, and a re-release of “Can’t Seem to Make You Mine” (1967) and “A Thousand Shadows” (1968). Notably slide guitarist Cooker John (aka Norman Desrosiers) from The Downchildren, later The Rain is credited on the sleeve to Web of Sound .The latter 1967 Future was largely a psychedelic conceptual album reeling through “Travel with Your Mind” and March of the Flower Children”while A Full Spoon of Seedy Blues had liner notes by Muddy Waters. In 1968 The Seeds launched their Raw and Alive covering the classic songs in a mean fashion plus a sassy new number called “Satisfy You”. By 1969 the band was renamed Sky Saxon & the Seeds with ex Yellow Payges guitarist Bob Norsoph & ex Good Guys drummer Don Boomer (later with Point Of Doom) replacing Savage & Andridge. Yet strangely the last Seeds 45 released by ‘GNP Crescendo’ was the Kim Fowley-produced “Falling off the Edge” / “Wild Blood” from Feb 1969. The Seeds disbanded in the early ‘70s and Saxon joined a Californian religious group, ‘The Source Family’ and often played with their band Ya Ho WA 13. MERCEDES – Can you imagine performing at a show in the Valley and seeing a crowd of Winter Texans with long hair, head bands and hippie garb all laughing and having the time of their lives? Well, that’s the experience James Marvell and his wife Faye had Friday night January 27 at Paradise South’s Hippie Days Dance. The show turned out to be a smash hit with at least 95 percent of the people in costume and dancing to the sixties hits such as Help and Good Day Sunshine as well as some favorite line dances and classics from the fifties. James was there in the ’60s performing with the million selling group Mercy and their Billboard hit Love Can Make You Happy. He had opportunity to socialize with Jimmy Hendrix, The Byrds, The Guess Who etc. Although drugs were all around in the industry, James always spoke out against their use. For him the joy of the sixties was some of the great music of that era. Believe in the magic of a young girl’s soul? Believe in the magic of rock ‘n roll? Believe in the magic that can set you free? Visit these great Hippyland Pages! and hippies in music and literature. – official site – excellent! artist and names of all the tracks! Fingers Page – with lots of MP3 music. 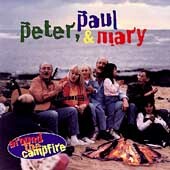 – lots more MP3 music! Imports– Over 500,000 import titles and collectibles! Thomas Records – Goth, Psychedelic, Punk and Anarchy music and videos. New standards keep coming and the selection gets better all the time. Radio Station – The Psychedelic 60s & 70s! here if you have 56K modem. 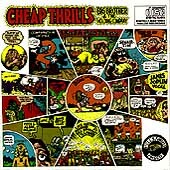 Old Hippie’s Choice Cuts – Great Oldies! – Oldies Rock from San Fran. Street – Undergound music and requests a few hrs a week. Steiermark – Austrian live radio station that plays top 40 oldies. Guide – exellent resource for finding music info from any time period. Good biographies and extensive hyplinks make it easy to navigate. album is called Cowboys and Maniacs. some of their MP3s and check ’em out. where you can sample their music. Gig Guide to concerts in North America. we need to go back before the hippies to the Civil Rights Movement. to keep body and soul together for that better day which is not far off. sang helped us identify with important issues and events greater than ourselves. us think, made us dream, made us feel as one people. to get more information about it or to purchase it. to learn more, or to purchase the music. in our virgin brains, whose seeds would fruit in our teenage years. tell it like it is! This song was prophetic. of Rock and Roll. Beatlemania was here to stay. and gave the Stones one of their greatest hits. it out. I think it was plot by Chiquita to improve sales. The Byrds Greatest Hits Very old lyrics (biblical), with a very timely message. many people went to California after hearing this song. I know I did! to John). A melancholy ballad lamenting a lost love, it affected just about everybody. was the first song you heard. What went through your mind? All of a sudden music was REALLY GROOVY, man! to be in Haight-Ashbury. Be sure to wear a flower in your hair. It was McKenzie’s only hit because he didn’t want to be famous. Surrealistic Pillow The first hit off their Surrealistic Pillow album. When Grace Slick belted this song out, we all knew just what she meant. and certain drugs, got us high just listening to it. Feed Your Head! sing at the end of the record? Sgt. Pepper’s Lonely Hearts Club Band Not a drug song! Yeah, and Yoko’s the best thing to ever happen to the Beatles. Not! by Joe Cocker at Woodstock! haunting vocals highlight this song. The Best of the Doors One of the top hits of all time. Light My Fire, especially Ray Manzarek’s keyboards make this a psychedelic classic. Stills and Richie Furay helped popularize folk rock. put into their whole lives. We feel your pain, Janis! 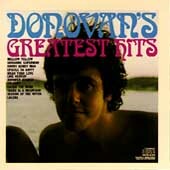 Greatest Hits This funky tune was the precursor to Disco music. Sly embodied the upbeat, funkadelic sound that was widely copied by many. protests. It added fuel to the fire. hit song Aquarius/Let the Sunshine In was covered by The Fifth Dimension. Crosby, Stills & Nash also 4 Way Street This was the first song CS&N played at Woodstock. It went over well. Their tight harmonies and excellent song writing scored right from the start. a nerve, and was used appropriately in Forest Gump’s soundtrack. An anti-war/anti-draft song it reflected the sentiment at the time. trippy hippy band. And what a long strange trip they took…. mother, Mary, not a drug song, yeah, right. not only the event, but the experience of a whole generation. imitators, but no band ever did it better. 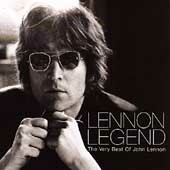 – John Lennon (1971) Imagine or Lennon Legend – The Very Best of John Lennon. to one of the great climaxes in music. Plant and Page at their best! wherein four students were murdered by the National Guard. Convention would’ve had a different tone after the event, more like Ohio! out who the characters were in this song. 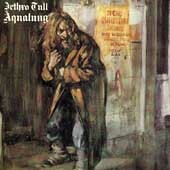 Aqualung Jethro Tull’s powerful portrait of a social reject hit you in the gut! album an unusual sound for rock. passage and aging. The opening sequence of clocks chiming is classic. 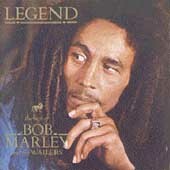 This hit song opened up the world for Reggae music, and Bob Marley. Typically, the subject is injustice.